"Your ex-wife has applied for the job as your assistant." These aren't words millionaire businessman Nick Andreas expects-or wants!-to hear. 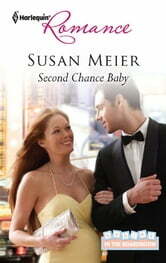 But sure enough, standing in the doorway is the woman who broke his heart, Maggie Forsythe-and she's pregnant!
. But as their attraction also grows, can they dare dream of getting back together and having a family the second time around?